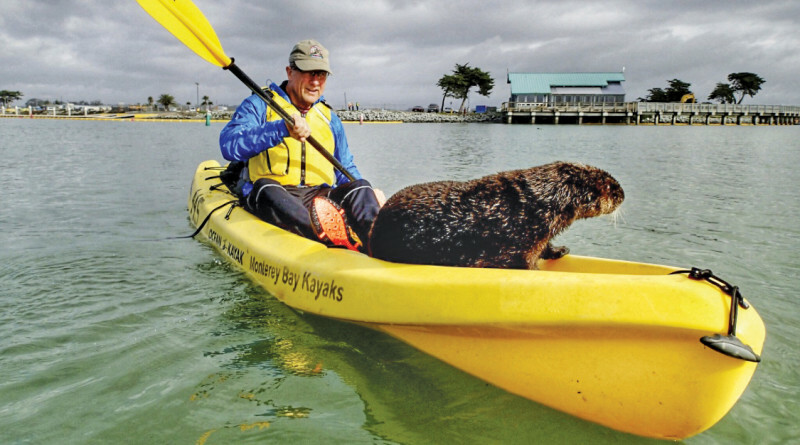 MOSS LANDING, California (LOG News Service) — A friendly otter joined a couple celebrating a birthday in Northern California by jumping into one of their kayaks. The otter made itself at home rolling around and even nibbling on some shoes. Heather VanNes said she and her husband, John Koester, were celebrating his November birthday in a slough near Moss Landing. They had just gotten in the water with their kayaks when they spotted a raft of otters. VanNes and Koester went by to watch them from a distance of at least 50 feet when one of the otters began swimming toward her husband’s kayak and jumped right onto it. Koester said the otter appeared to be at least 80 pounds and stayed on the kayak for at least 10 minutes. After Koester started paddling, the otter jumped back into the water.